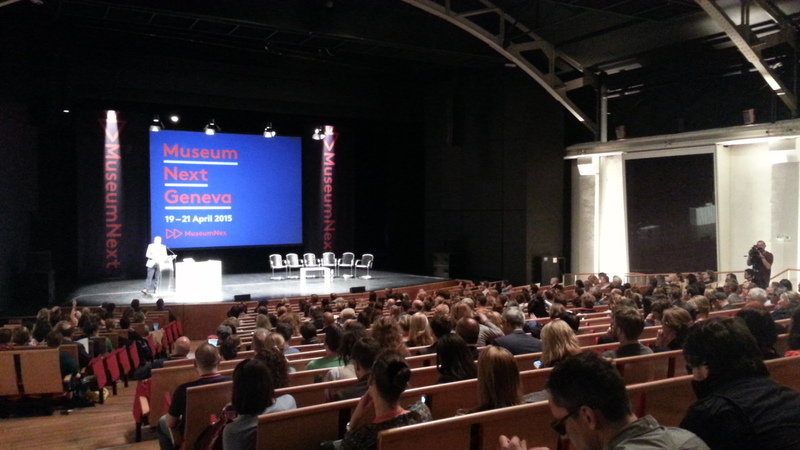 The 2015 #MuseumNext conference took place in Geneva from 19 to 21 April. More than 600 delegates from 31 countries make it the biggest museum conference in Europe. Three intensive days of content! Meaning for content the keynotes, workshops, Q&A, demos, visits and conversations. As usual, it’s impossible to synthesize everything on a post. I’ll highlight what was most inspiring from the sessions I attended and include some reviews by other participants as recommended links at the end. 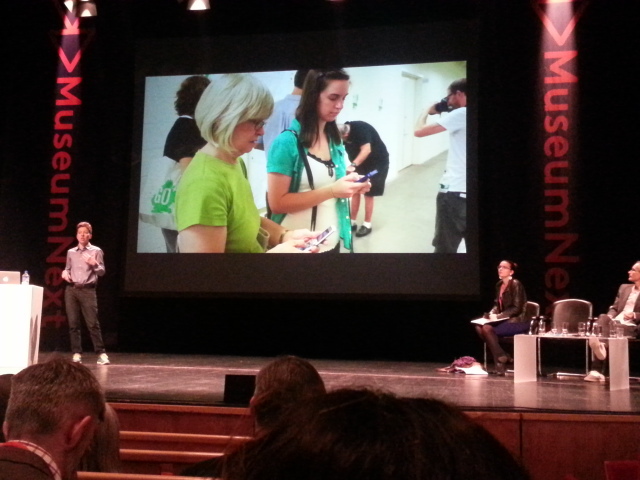 You can also watch the videos from this and other MuseumNext editions. This was the subject of an extremely interesting workshop led by Allegra Burnette, former Head of Digital Media at MoMA, now principal analyst at Forrester research. It turns out very useful to map users’ experiences: designing a persona, deciding which task he/she wants to perform, draw the steps needed, all the touchpoints the user interacts with and then analyze the journey, including the emotions experienced during the process. Were we to apply this methodology, walking in our visitors’ shoes, some useful insights would surely arise to help us evaluate and probably improve user experience, making it easier, more effective, more pleasant, more engaging. 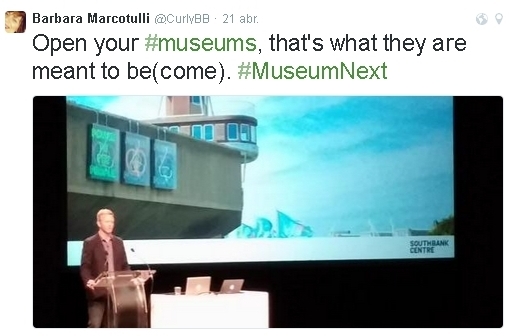 Most of museums are now trying to find new ways to engage and connect audiences to collections. 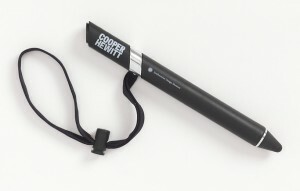 The Cooper Hewitt, the Smithsonian Design Museum, has taken a huge step via three digital interactive devices: the Pen, interactive touch tables and the immersion room. Details can be read in this article. It was extremely enlightening to listen to Seb Chan, Director of Digital and Emerging Media, in a session of Q&A the day before his talk at the plenary. As for the content, looking at it from the user perspective led to changing the titles of artwork descriptions, so that each provided answer to these two questions: What is it? Why is it in our collection? The Pen changed behaviours in visiting and attracted new audiences. Shelley Bernstein, the well-known Vice Director of Digital Engagement & Technology at the Brooklyn Museum, presented the project they have been working on for the last 2-3 years and will be made public in June: “Use your App to ask and we’ll answer” during the visit onsite. Sounds simple, right? The internal logistics and the tech needed to have it up and running are extremely complicated, though. It comprises visitor research to anticipate their demands, cross-departmental cooperation, training of front-office staff, plus the implementation of a robust tech system to make it a seamless experience. They consider ASK an entry experience and a powerful way to foster dialogue between staff and visitors, thus becoming a responsive museum. One of the interesting outputs of the diverse users testing was that people were looking more at the artworks to figure out what to ask! They are currently studying how best to organise the sending of answers to the questions that they may have not been able to answer on the spot. And so far they have discarded to attend post-visit questions because “we are not a human Google” said Shelley. Sustainability of the effort must be carefully scaled. 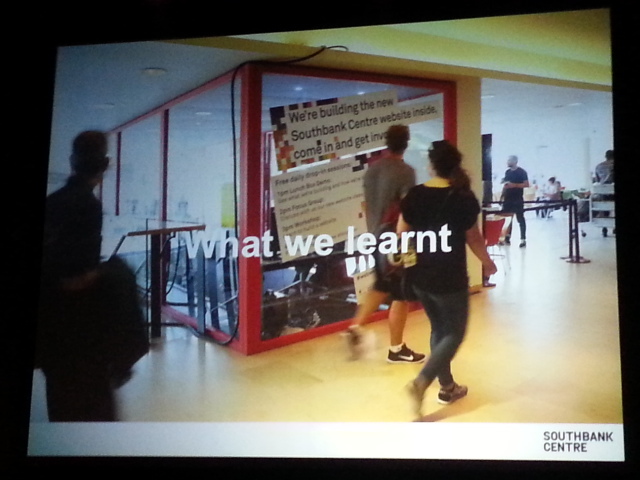 The South Bank Centre renovation is a living proof of how a participatory process, well planned and well developed, can be an enriching experience for both staff and users. A variety of actions were conducted to help define “The web we want”: sessions with users, surveys, workshops, onsite labelling and even putting tech team literally “in a box” to work transparently and invite visitors to step in and chat and discuss new ideas. The process has achieved great involvement from the community and is part of a “The Web we want Festival” for a weekend. 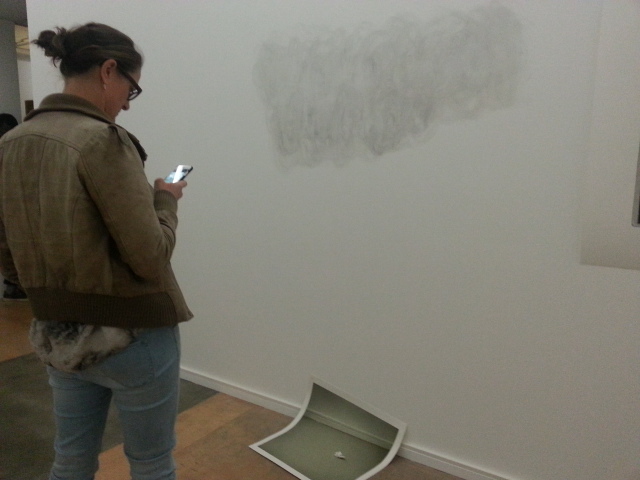 Museums are intensive content producers. In an extensive array of media, channels and platforms. So, more than ever, content needs to be addressed strategically. 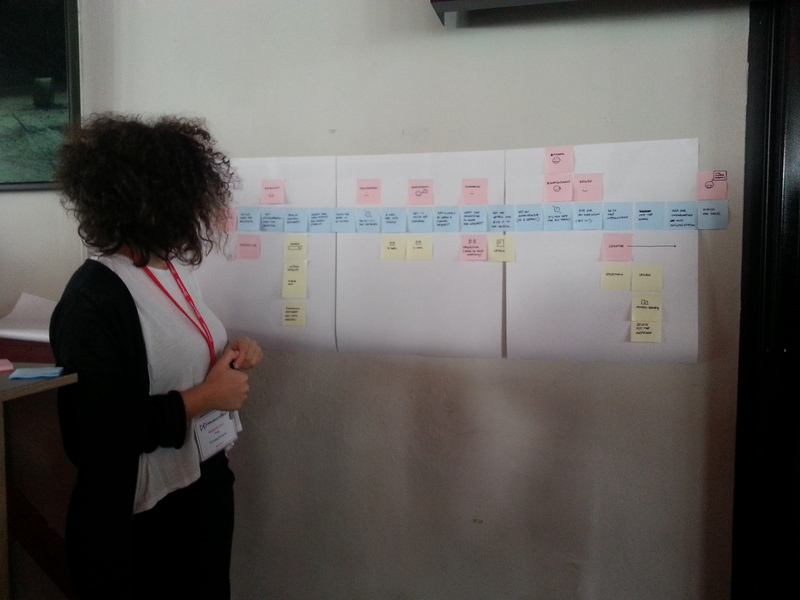 To help plan and define ways to set it up, together with Tijana Tasich, Digital Production Lead at the Tate, we offered a hands-on workshop. The embryo of the idea was formed at the Confab Event en Barcelona, where the author gave a talk. 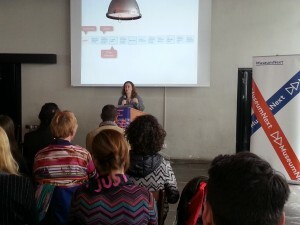 The first running of the workshop took place in Museums and the Web in Chicago and this one in MuseumNext was the first in Europe. We shared the 5 steps for building a content strategy: plan, analyze, create, communicate, evaluate. 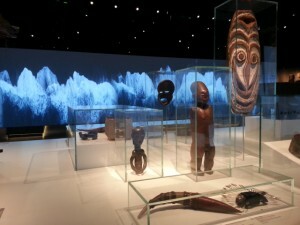 And also showed best practices of museums around the world building awesome content to engage their audiences. This was widely stated throughout the conference. 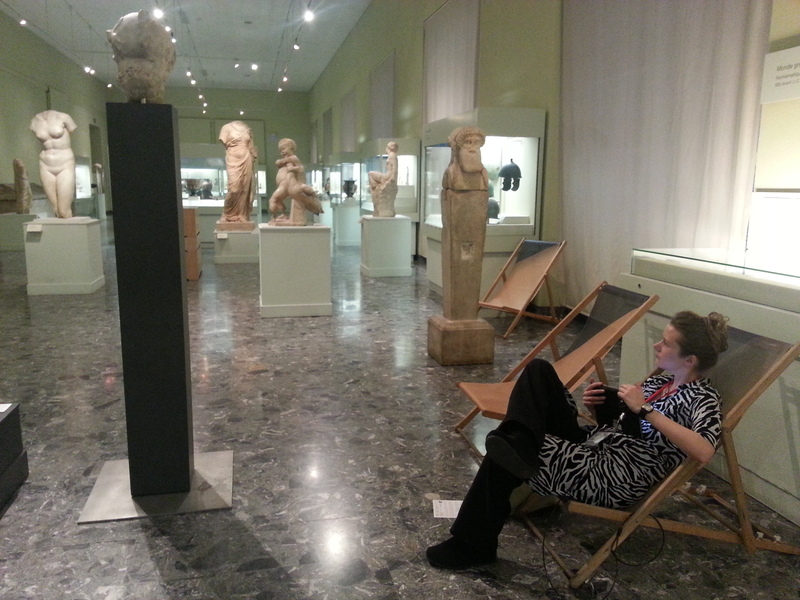 Museums are slow to change and to adapt. The proactive work of many staff doesn’t always translate into shaking enough the museum as institution. Meaning not just the urgency of fully integrating the digital dimension, but the need of evolving to be the open, social, innovating museums society needs (and expects!). One of the most enlightening talks in this sense was given by Kaywin Feldman, Director at Minneapolis Institute of Arts, where it was decided to invest in internal Talent Strategy. Diversity of teams, training and feedback loop were some of the tactics shared. As for empowerment, I quote her clever approach: “If you put fences around people you get sheep”. Another good practice conducted is also the testing of maps on the museum walls for all visitors to test and comment, before producing the final product. The evening receptions gave us the opportunity to visit some museums and know from their teams their approach to digital. 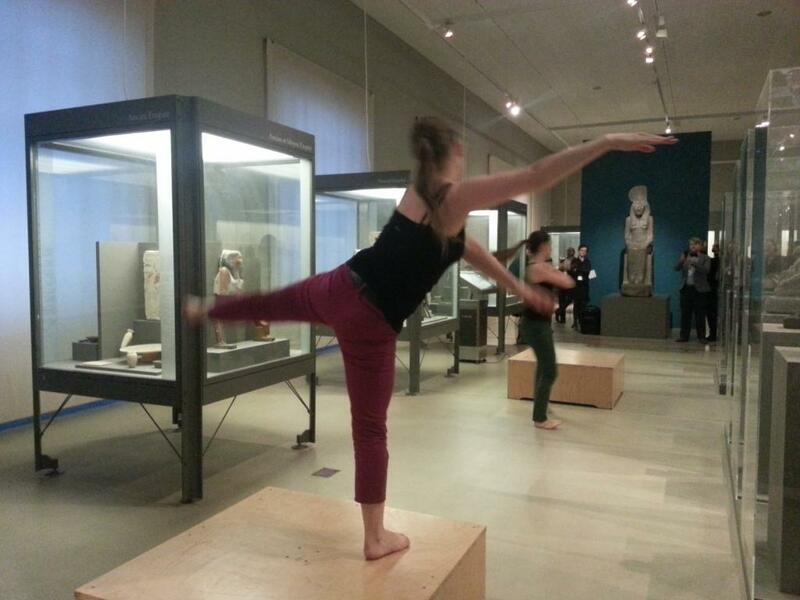 The MAH, Musée d’Art et d’Histoire, organised a lively event with music and dance in the rooms, as well as demos of their digital projects in the galleries, such as augmented reality and an interactive multitouch table. 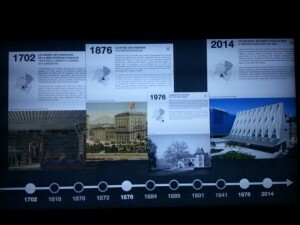 Interactive table showing the restoration and research about the altarpiece by Konrad Witz explained by David Matthey, Musée d’Art et d’Historie. 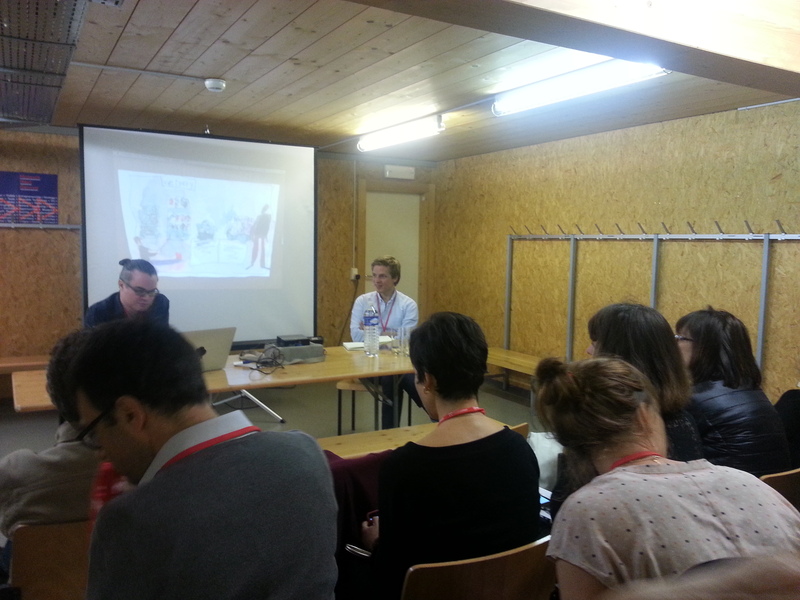 More about the MAH digital projects can be read on their blog Quel avenir numérique pour le MAH? and pictures of the opening reception can be found at Flickr. Thank you Jim Richardson and the whole MuseumNext crew for an inspiring conference and all colleagues for the lively conversations. 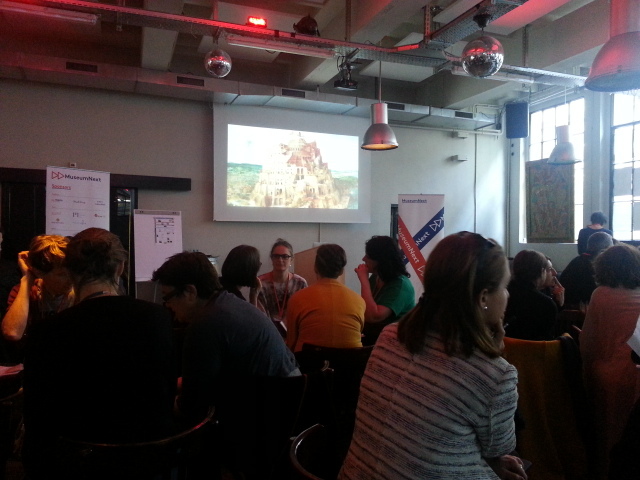 If you attended MuseumNext, which would your favs be? If you didn’t attend, what other issues you feel are essential to be discussed or actions taken? Thx, Jim, I’ll add the link to the post.